Alice Belle (Rasmussen) Wendleton, a lifelong resident of rural Boonville, passed away Saturday, August 25, 2018. Born July 1, 1920 to Arthur Lawrence Rasmussen and Della Louise (Theiss) Rasmussen, she was the oldest of three children. She attended the Lone Elm public school for her elementary education. Because of the Depression, she had to wait 3 years before entering high school. Once able to attend high school, she valued her years there and graduated from Laura Speed Elliott High School in Boonville, Missouri, in 1941. On June 22, 1941 she was united in marriage to Earl Irving Wendleton at the Zion Lutheran Church in Lone Elm, Missouri. She moved one mile south of her childhood home where she lived until her death. Alice was noted for her hospitality. Her dining room table served people from all walks of life with meals that were accompanied by her sense of humor, rich conversation, and the latest news. She was a civic minded and energetic woman who was progressive in her thinking. She believed in the political process and served as a committee woman, poll worker at the Lone Elm precinct for decades and her legislators received letters from her. Alice encouraged reading in her home. In 1953 she was appointed as one of the Cooper County Representatives to the board that organized the Boonslick Regional Library. She remained a board member for forty years. Alice will be remembered for her artistry with a needle. From childhood to recent years, part of each day was devoted to sewing. She made most of her own clothes, made and adorned the clothes of her girls and others with smocking and embroidery and as a 4-H leader, taught others to sew. Most notably, she found her passion in quilting. She found joy and satisfaction in sharing her knowledge and helped organize the Nimble Thimble Quilters and was a member of the Fan Attics quilt club. For many years, she taught quilting classes at local fabric stores and quilt club meetings. Alice professed her faith through the life she lived and in her service to others. She served for many years as a deacon and an elder at the First Christian Church (Disciples of Christ) and enjoyed the activities of Christian Women’s Fellowship. She supported the Butterfield Ranch, Marshall, Missouri, through donations of fabric and quilts. She was proud to be a farm wife and celebrated the cycles of nature. She welcomed each new season and the changes they brought to the land she loved. Alice was preceded in death by her parents; husband, Earl; sister and brother in-law, Elaine and George Derendinger; brother, Howard Rasmussen; daughter and son in-law, Diana and Dale Kempf; son in-law Paul Wooldridge; and granddaughter Dalerie Ann Kempf. She is survived by her children: Sharon Wooldridge, Carmen McEwen and husband Jim, Stanley “Bo” Wendleton and wife Barbara; 12 grandchildren who fondly called her Oma, Shara Schupp, Wendy Wooldridge, Tate Wooldridge, Dara Watson, Caleb McEwen, Mandy Eichelberger, Danah Nichols, Josh McEwen, Brad Wooldridge, Casey Wendleton, Lindsey Smith, and West Wendleton; 17 great grandchildren and one great-great granddaughter. 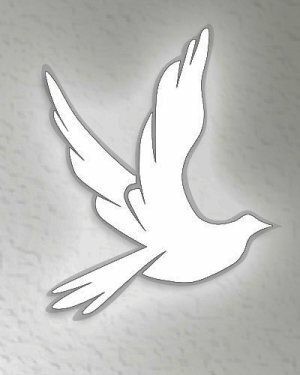 The family will receive friends at 1:00 p.m. at the First Christian Church (Disciples of Christ), 301 Fourth Street, Boonville, Missouri, on Thursday, August 30, 2018. The memorial service will follow at 2:00 p.m. with the Reverend Roger McMurry and Reverend Tom Williamson officiating. In lieu of flowers, memorials are suggested to the Boonslick Regional Library, Cooper County branch.